"He was just black in the wrong place," said Castile’s mother, Valerie Castile. The very same day the DOJ opened an investigation into the murder of Alton Sterling, another Black life was stolen by police. Philando Castile was stopped by the Minnesota police because his car had a broken rear light, within minutes, he had been shot four times. He died shortly after at the hospital. Police stopped Philando and told him to present his license and registration. Castile told the police that he had a legal firearm, but was just reaching for his wallet. When Castile did what he was asked to do, and reached for his license and registration, the officer began shooting. The officer who shot Castile has been placed on administrative leave, and will continue to be paid. Castile’s girlfriend, Diamond Reynolds, filmed the aftermath of the shooting. She films Philando crying out in pain as blood soaks through his white shirt while the officer continues to point a gun at him. "I can't believe they just did this," she says. Then she screams. "It's OK," says her 4-year-old daughter, "I'm right here with you." Philando Castile was killed on his way home from getting a haircut for his upcoming birthday. He would have turned 33. His mother told CNN, “He’s not a gang banger; he’s not a thug. 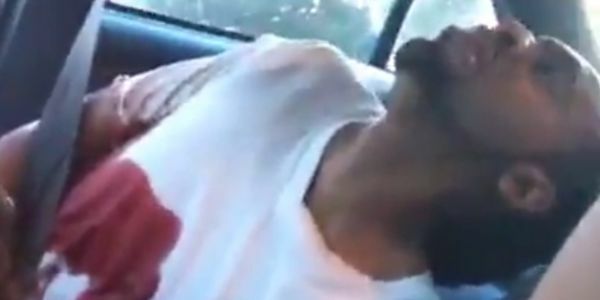 He’s very respectable and I know he didn’t antagonize that officer in any way to make him feel like his life was in danger.” But regardless of Philando’s history, the police had no reason to shoot him. He was obeying their order and then he was dead. This murder was a blatant disregard for a Black man’s life. Philando Castile is one of 123 black Americans shot and killed by police so far in 2016, according to the Washington Post database. It’s only July.